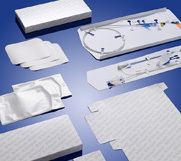 Custom Medical Packaging solutions that provide superior quality and protection. 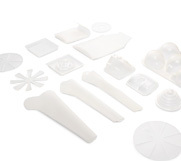 Nelipak designed device packaging based on market expertise from concept to the point of use. 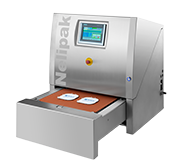 Medical manufacturers rely on Nelipak to provide them with a wide range of custom sterile and non-sterile, single and double barrier medical device packaging systems. 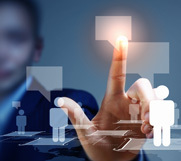 We work closely with start-ups to leading medical device manufacturers using the years of design experience of our sales people, project managers and product designers who understand the whole product life cycle. Our in-house experienced packaging teams and tool development help increase your products’ speed to market while designing packaging that reduces unit costs and ensures total product protection and integrity. Nelipak medical trays can be made in ISO class 7 or 8 cleanrooms certified to ISO 13485 across our global manufacturing locations ensuring quality product every time.